SAM Scholarship Fund by Saint Anthony Montessori Learning Center Inc.
By Saint Anthony Montessori Learning Center Inc.
Saint Anthony Montessori Learning Center Inc. hasn't added a story. In 1990, Saint Anthony Montessori Learning Center Inc. was started by three educators for the formation of future citizens and upright individuals of the world. It aimed to do this by strong Christian values education done not only by rote teaching, but by example as well. As such, the school has a very strong Christian community that looks after each other and the surrounding community as well. We are a small school of less than one hundred and fifty students, 5 of which are scholars and coming from the local indigent communities. These scholars are by all means deserving and are a great contribution to the lives and experiences of the academic, social and spiritual life of the people in the school. These 5 scholars were internally funded coming from school resources and by no means has it been a regretful decision, in fact it has been one of the best decisions we have ever made. These children also impact their own households and little neighborhoods when they go home by reverberating the Christian and socially upright values that we all try to teach and hope that they aspire to. As much as we want to extend this little social nicety to the surrounding indigent community, our funds are so much limited. We dream of trying to get all these children, numbering about 50 children into school to keep them away from drugs, prostitution, exploitation and a life of crime as people of the urban poor are wont to do when lack of opportunity arises. We see this dream as a mission and in the selfish world that we live in now, we still have the Christian faith and belief that whoever reads this appeal for assistance will in somehow be touched with charity and assist us in any way possible whether it be just for a small sum of one dollar, a small amount goes a long, long way. The money received will pay for a full year tuition in any grade level of our school up to Grade 12, and as such will go so far in changing the lives of small children, even if just for the small price of a cup of coffee. We are confident that there are people out there like yourself that will assist us and make a better place or a better life for others. In this way, whether or not you do contribute to us, we heartfully thank you for your time in reading this and know our plight and mission, and hopefully you can also tell someone that can help as well. Before anything else, God Bless and thank you for your time. The children thank you, and we thank you. 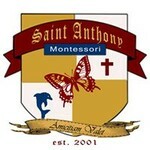 Saint Anthony Montessori Learning Center Inc. hasn't posted any updates yet. Saint Anthony Montessori Learning Center Inc. is managing the funds for this campaign.